Hi Everyone! Don’t know if you’ve checked the Your Space section recently, but today a new reader wrote in about predictions. Thanks for your email…I answered you yesterday, however it never showed up!! I must have hit the wrong button or something. I feel as you do that it would be best just to let go and to move on. It seems that each time I start to move on, I hear from him (“D). I hadn’t heard from him for six months and then he called three weeks ago-I was in a movie and saw on the caller ID that he had called-and now for the past three weeks I find myself obcessing as to “if and when” he will call again…and “if” he does…do I answer…and “if” I answer, then what? I sure don’t want more of the same…oh, well. I’ll say a prayer for you as well, that eityher God brings you together or releases him from your heart and your mind. One moment at a time…we’ll be okay! I can sense how sad and disappointed you are and my heart goes out to you. It seems that there are quite a few of us going through this “in the meantime” phase. There are times when I’m determined to “wash that man right out of my hair”…but so far I have been unsuccessful in doing so. It seems that when my thoughts of him do begin to lessen…something happens and he is right back in my mind and heart. I hadn’t heard from him since Dec-and had started to date-and then he called again three weeks ago. I missed his call-saw that he called on caller ID-and now have spent the past three weeks obscessing about “when and if” he will call me again! UGH!! Let’s send postive energy to each other. Hopefully, something good will come from all of this heart ache. I know that I’m learning quite a bit…I must admit to asking God to “let up on the learning for awhile”! LOL!!! While your response was meant for lystra, I would like to thank you so much for your words of encouragement as it has also affected me. Your guidance is very much appreciated. I have read with you a few times, and you are a very kind-hearted and level-headed person. Your insight into my situation was very helpful. I feel your pain. Strange as it may seem, I feel like it would be so much easier to let it go than to hold on. I believe in free will as that is God’s greatest gift to us, but I also know that He has a plan for us. If things are meant to happen, He will find a way to give us the choice. Right now I’m trying very very hard to just move on. While many many many people have been telling me that we have a Karmic connection, soulmate connection, even twin flame connection (I got that from Reggie and Nina), I suppose the only thing I can do it let things take its natural course. the Situation is very complicated (and I’m sure everyone’s situation is the same), I just want to take everything with a grain of salt. So true…seems that the challenge is in not letting the “stuff” we all go through harden our hearts. If we do..then it seems we really do miss out. I’m glad you enjoyed your reading with Phillip …..from what I’ve learned about astrology…29 Karmic points is ALOT to have…..STRONG Karmic link between you and “D”. They are completely and totally out of the game!! Then one day, Love comes to town…For example, these people get tested….It could be the love of their life moves next door to them, or works at the same place as them or is in a support group with them…..Then the test begins…. Nowhere to run, nowhere to hide….no more standing in the shadows…The light of love is now to shine directly on them? But how will they handle it? Sometimes people run away from love, but then, later, suffer over what they did…And then they have to live with that choice….So many different scenarios. No pain no gain is right…I think it was Brian Adams, that wrote a song in a Sandra Bullock movie, maybe ten years ago, I remember a line in it like “when you are in love your loneliest nights begin” something like that…. Highs and lows of love and relationships. So no pain no gain is right…. I have been sitting here this morning, reading what you are saying on this blog. My heart really goes out to you, I can feel your sorrow. It could be that these predictions will eventually come about, yet, it just may not be on the timing you wanted it to be….And then, free will energy can come into play—You got to see if you still feel the same way, if and when it would happen…. I am hearing there is a part of you that would like to really let go, regardless of the predictions….or the delay in the outcome you wish for. I wish you a lot of peace of mind. Things really can change…Whether it is the outcome or a change of heart, something could still shift…. given me very little to really be drawn to in the natural. Thanks for your encouraging note! I wanted to talk more last night and to purchase more time, but the “system” acted up and didn’t ask me if I wanted more minutes and directed me to a live person…by the time someone got on the phone you had logged off…so will try to get in your line next week. Hmmm..funny you would say that we all have free will to either open or close a karmic door. As much as part of me wants to hear from “D”…I’m not sure if I would move forward with him…most of the relationship thus far has been painful and not peaceful. I just don’t want to be hurt again. Into the seasonless world where you shall laugh, but not all of your laughter, and weep, but not all of your tears. Love gives naught but itself and takes naught but from itself. I sure have learned a lot about myself in this “season” of my life…and there is apparantly MUCH more for me to learn. Hopefully, when and if that door opens, I’ll be ready and so will “D”. Hello all. I am so glad to hear some of these blogs.And especially from Believer. I am very happy for you that things came together for you. I too am hoping for a reconciliation with the man that I love so much. It took me a long time to let go and start living my life again but thats what I’m doing now. I am dating and having a wonderful time. But “he” is always on my mind anyway.Your story gives me more hope that the predictions I received will come true. Thank you so much for your story and please keep us updated as things continue to develop. I hope that I can post an update at the end of summer that things are happening as predicted for me. I have mastered the art of waiting by not waiting so this is getting easier. But I do still love this man and have been told that it is because it is right and we will be together. Keep your fingers crossed for me. Have a wonderful holiday everyone and be safe. I may be alone now, but I choose to be. I could be out dating, the opportunities have been there, but it doesn’t feel right. When & if that times comes, I’ll know it and be ready to meet the one that is my “meant to be”. Until then, keeping busy and being thankful(whether I feel like it or not – ha) everyday for what I do have. So strange how life works, right? I am very happy for you. It is amazing how these things in our lives change us. I’m actually very thankful for the lessons I’ve learned. Don’t get me wrong, sure could have done without the heartache – yikes! But I guess the saying, “no pain, no gain” is very true! …souls only come together to help each other learn and grow…..maybe walking your own path for awhile, even temporarily, was one of your life lessons . Funny you should mention that…..it was a life lesson I had to learn many years ago myself. My Guides say around end of August, OR before……we all have the free will to open OR close any Karmic window. ” Karmics ties “, are windows of growth that open and close…..each and every one is different…..every circumstance is different. I’m finding that to be true. I’m learning so much about myself over the past year. One of the things that I’m learning is that I really do “enjoy my own company”…strange how life is…the very thing that I thought that I was the most afraid of, “being alone”, is something that I find I really like! You told me I would hear from a man I was seeing within a few months. I did. And then you saw him “attempting to contact me”-he did-my telephone was not on me at the time-and now you saw him calling me in the next few days! The final outcome that you see is a positive one. That’s a hard one to believe due to the sequence of events that have happened in the past. Although, I hope that you are correct!My recent prayer has been for this “thing” I feel towards “D” to either work out or for God to remove him from my mind and my heart. Thanks for being there to listen to me and to guide me. It’s been great to have someone to “talk it out with”! Happy 4th and Happy Weekend! I’ll be walking the beach with my “boys”-my dogs!! What a wonderful story. Thank you for sharing. I myself have been getting the same predictions. Today I felt so discouraged because when I gave him a call, things didn’t seem to be the way the psychics described it to be. Half of what they told me was in terms of what he was feeling, half wasn’t. It may be because things were interpreted differently or that he wasn’t being completely honest. But I realized that things aren’t always as they seem. 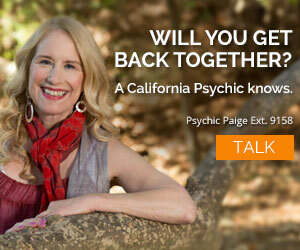 I felt so discouraged because things didn’t seem to go the way my favorite psychics were describing it to go. What I noticed about the posts is that the predictions usually take a few years to completely manifest. Perhaps this is because we can sometimes be so eager to get to the end result that we put our lives on hold and don’t let things naturally run its course. I know that’s what I was doing. I gained valuable insight in Red’s blog about timing and I realized that I myself may be causing the prediction to move back just by waiting for it to happen. Thank you for sharing your stories. It has helped me gained insight, direction and courage to go on. I suppose knowing what will happen comes at a price and responsibility as well. I hope one day I will similarly be able to share wonderful stories about my own psychic experience. But for now I take comfort in knowing that just because we let go of something, doesn’t mean it won’t happen; in fact, letting go may actually speed up the process. Btw, there seems to be a lot of July babies here.. Happy birthday to all of us 🙂 and happy fourth of July! Thanks to those of you who gave me feedback. I can’t help but notice that all of the ladies responding on this blog are extremely thoughtful & very compassionate – how nice!! I look forward to hearing about things as they progress for everybody!! Good Luck to ALL of you and Happy 4th of July! The ONLY reason two souls are brought together is to help each other learn Karmic life lessons. Sounds to me as if you have learned MUCH about yourself in the interim….that’s a good thing…. Have a great holiday yourself !!!!! I’ll try not to work too hard…..I’ll remember YOUR words….how’s that for a change ? Let me just start this by saying, I love this forum! Thank you CP for doing this! I started calling CP about 3 yrs ago. Then I would mostly talk to Ellen and Red. Both of them would tell me the same thing, she loves you and is in love with you, and that she will come back to you. Now the person in question was absolutely horrible to me and yet I continued to try and win her back. The minute I stopped trying, just like Red and Ellen told me to do she came back! It was very slow at first but the momentum just kept building. Now, let’s fast forward to this year. After much soul searching I finally began to realize this was not the person I wanted to spend my life with! Again talking with Red, Angel, Anauel, Diamond, Abigal & Ms Krystal and all of them warning me once I broke it off with her she would try very hard to win me back. I called it quits this past March and guess what?! Yep, you got it! It is completely reversed! Now with my latest relationship issues I am starting to see the changes that the psychics have been speaking of. I am cautious this time though as I have been told, “Be careful what you wish for you just might get it!” The difference this time? I am not the desperate lost soul I was back then. Wanting someone back at any cost was not a healthy choice. I look forward to these latest predictions unfolding. I am more grounded than I have been in a long time and I can thank the wonderful psychics here for that. Thanks for your note! Yes, when I hear that I immediately shut down. Possibly they are right, however, if and when the time comes to let go I’m pretty sure I will know. Believe me, if I could shut it off and walk away I definitely would. It is the only relationship I have had that I have cared for the other person so much and know there is something different. It is not my nature to not have things my way or be patient. I have learned so much about myself and made some very positive improvements. Whether he gets the benefit of those improvements at this moment is up to him. I won’t hold on forever but for now I remain hopeful. I’m moving forward, I may be surprised at what jumps out at me. My mind is open, but my heart still involved. What a doll….Had to tell you. I’ve been reading with CP for a little over a year. Of course it was also about a guy. At that time I haven’t made or had contact with him for about two months. Then the psychics would tell me that he would contact me within the next two or three months. Well, he didn’t initiate the contact I did, but we started to have contact again. I would continue to call CP to check in and make sure that it was headed in the right direction. My favorite psychics would say that we will end up together, but I didn’t understand because it wasn’t moving forward. Sometimes it would even move backwards. Then it was just there. Now I haven’t heard from him and I haven’t called him in three weeks which has been the longest we’ve gone without contact since we started again 9 months ago. Well, the last time I spoke to my favorite psychic was this past Sunday and she said that we will end up together and he will contact me by the weekend. So, I can say that the little things have come to pass like the “contact”, but I’m still waiting for the outcome the “ending up together”. It’s very hard to wait, but we still have to keep on moving and not wait around. I know that now. I’m very happy for you Believer and hope everything works out for you. I also wanted to mention that I have a very close friend that also calls CP and we’re always keeping each other posted. We both write down notes from all our calls to CP and we share. I can also tell you that a lot of small things have come to pass for her too and we’re waiting for her outcome. I had someone to talk to about my readings and she had me. I was telling her about the blogs and how so many of us are waiting for almost the same outcomes and I was even sad for everyone out there, because it seemed that maybe it was hard for you all, because others probably didn’t understand what you all were going through and couldn’t really share your CP readings. I’m really happy that everyone has somewhere to go now and share. that is all that matters. Listen to your heart….and if you want, Stand by your man!! I hope everyone has a wonderful 4th of July weekend. Enjoy! God bless America! I started calling CP about 9 months ago, I had found myself in the awkward position of falling back in love with the man I had worked for months to push out of my life, and he wasn’t playing along! No abuse or cheating involved, basically we’re soul mates who didn’t have the tools when we were younger to develop a solid, consistent relationship. For the first time in 16 years, we didn’t fall back into our old patterns, well he didn’t, and I didn’t know what to do! When I first started calling I spoke to different people, always questioning, always looking to hear that he would wake up the next day and be healed and allow himself to love me again. At first I didn’t think to take notes, nor had I ever consulted a psychic or anything close to it. I have people in my life who are very intuitive and I’ve always had a weird connection with the Universe, but this was different. Thankfully the CP website provided all kinds of info that helped. Most of the basic truths were the same. There were a couple of people that I didn’t connect with and I learned quickly that if I felt bad when getting off the phone the connection wasn’t successful. Then I connected with Angel. Wow she was right on with all kinds of details. I had started keeping notes by then so I could track along. The emotional support and the breaking of the ‘girlfriend’ pattern (you know hashing everything over with your girlfriends til you successfully talk yourself out of the truth? lol) was amazing. Her predictions were pretty right on. I would still call to get confirmation and speak to other people and had some great connections but I was looking for a certain blend of guidance, clarity of us and accurate prediction of outcome. I would take notes on all calls and then do a comparison list by pulling out all the common elements. The details often differ but I am concerned with overall truth. I found the overall truths to match what I knew in my heart to be true. Short term timelines, like if he’d call this weekend, I found quickly to be much more unstable. At this point I was sold on the credibility. End of May – Randall predicted within 10 day period we’d be face to face. I followed his advice on how to proceed and the next night we were together. 😉 Called the next day to report the success and he predicted within 60 days we’d be more consistent and solid. We are well on our way. Same period – Liam (before the above prediction) gave me a timeline read. He said first contact (there was another break I’ll spare you the details lol) would be within 7 days. Happened. Middle June – all 3 predicted things were progressing great and I would see him soon. Together twice in 2 weeks 🙂 They all 3 have also said not to worry if he’s quiet and that has proven consistently to be true. We’ve got midsummer timelines coming up and I look forward to reporting that success here! Thank you for thinking of me. I can’t believe you remembered me writing. I have been speaking with CP for about 3 yrs, off and on. The one that I spoke to all the time is gone 🙁 However, I have found my two or three favorites. 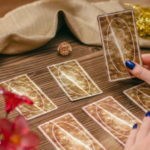 In my search for a comfortable connection I have spoken with several of the psychics. Everyone of them said the gentleman in question and I would reconnect, it would be my choice, etc. The only difference has been is that some said he would be back, etc. others were very blunt, “he is not worth the time and energy” he will be back but let it go. In the past few days I have seen the man I speak of. I am not sure what or if anything will happen but it will be within the timeframe mentioned by some if things materialize. I will post a comment if things happen and then you loyal readers/callers can determine if things play out as predicted. Congratulations Believer, I am VERY happy for you and hope everything works out just as you would like it! I’m in the same place that many of you are…waiting for what I have been told will come to pass. As Believer shared and Gina Rose pointed out, I haven’t just sat and waited. I have taken the actions that have been suggested and continued to do what I can myself to work towards what I want. I don’t know for sure when or how things will happen, but I haven’t given up hope and haven’t stopped moving forward. Good luck (maybe I should say Karma) to everyone! P.S. Gina Rose~you are always talking about Karma and the Karmic path. Maybe you could write an article about Karma when the chores are all finished! I’m really interested in the difference between Karma and luck. Well reading your post has certainly given me renewed hope! I’m very happy for you. I hope all works out well. May I ask a question, What was your original time frame given? I agree with Browneyes, I wish more people would post about their positive (or not) outcomes. I have had the same thing happen to me also. I dont know who to listen often. How do we know if we have a connection when they get the past and the present right but the future doesnt come to fruition? I have conflicting predictions and then had things not pan out with the majority but with the one psychic who gave a completely different answer. Why does that happen? Thank you so much for your responses! 🙂 It is so nice to have a place to talk to other people who are in similar circumstances. I would just like to share some of the thoughts that I’ve been having lately…. This whole journey to healing has been quite amazing for me, and in retrospect, I have come to realize the true meaning of the phrase, “It is not about the destination, but the journey”. True, I have obsessed over him since we broke up three months ago, but I suppose anyone would say that it would be quite natural (especially since we were together for three and a half years). But lessons that I have learned and the growth that took place is quite priceless. I have been reading nearly everyday for the past three months (yes, everyday. Sometimes more than once a day), and while it may have been quite expensive, but I believe that I was better off calling CP than calling my ex. I am quite grateful to have found so many people who are sincerely out to help you sort through your emotions and thoughts. Also, taking the time and space off from my ex has put me in a different frame of mind. Something changed in me in the month of June, and as I was driving to work earlier, it suddenly hit me like a steamroller: I really don’t mind if he doesn’t come back. Of course it would be interesting if he did, but I realized that what I really want right now is to meet new people. After three and a half years, marriage is inevitable, so perhaps that is the reason why we had to break up. There are still so many things that I want to do, and I know that there are still so many things that he has to go through. I admit I haven’t really been out dating, but it isn’t because I don’t want to. After experiencing such a strong connection with a person, it’s hard to settle for anything less. I’ve met people, but I have never felt right about going with someone that I don’t particularly feel attracted to just for the sake of going out. It doesn’t really feel like such a good use of my time or energy. I suppose this is what so many other people were telling me: that when he does come back around, I may not want him back. Thank You for posting that to the others on here…..and I am VERY happy and excited for you as well. The power of Karma is never to be under estimated……as you now know. Also…..I’m thrilled to hear that instead of pining away over your X , that you were dating somebody else and living YOUR life in the interim. I promise I will reply to all within two to three days though…. P.S. I forgot a very important piece to my story…when my ex FINALLY came back I had moved on and was happily dating someone else….GO FIGURE!!! Dear jadedunjaded, browneyes, kathy, lystra,etc. etc…. It sounds like there are quite a few of us ladies with the same situation going on…waiting for an ex-love to return. I find that very interesting (good & bad). But, in response to all of the ladies in waiting I am here to say….MIRACLES DO HAPPEN. I have been reading with CP for almost 2 years. When I first started with readings I tried so many psychics but finally found a few that I connect with the best and I stick with them. My readings started after I had broken up with an ex and couldn’t seem to get over the heartache. From the beginning I was told “its over forever” and others who said “he is your soulmate and he will be back”. During this year and a half this gentleman was actually engaged and living with another woman. Seems pretty hopeless, right? Well out of the blue, “HE CAME BACK”. The readings were right! Out of no where he called me and wanted to “talk”. He broke up with his fiance, she is out of the picture completely now. He claims that he has never been able to get me off of his mind. So, we are talking again and have hung out many times. Now let me say its not exactly smooth sailing (yet). We still have a few issues to work out. But the fact that he is back in my life at all is pretty amazing – wouldn’t you say? So keep the faith ladies! MIRACLES DO HAPPEN! I too have gotten different outcomes predicted. The majority do say that there will be a reconciliation but a hard road beforehand. I have seen a few things happen that were predicted but the main outcome which is what I am hoping for is still nowhere in sight. But was told of the phases that have to happen before this can all come together. So I’m still waiting but not so anxious anymore. When this blog first started I was hoping to hear more stories of predictions coming true but I dont see any so far. Everything is always so questionable and I dont know if people forget about updating and sharing their stories once they get what they want or if the big things arent happening for people. But I do know that some things have come true just as they were predicted. But like I say they were seemingly small things. But amazing to me anyway. I’m gonna go try to find the first Your Space post now and read up as I havent visited that post in a while. Good luck to all who have had readings, I hope it all works out like you want. I have the same predicament. 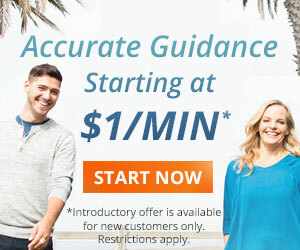 I’ve asked quite a number of customer service representatives about that (and since they are exposed to the psychic world everyday, they should know right? ), and most people said that you should definitely go with what the majority of the people say. Also, they told me to look at how well you connected to the psychic. I suppose it’s something like if they were accurately able to pick up on your past and your present, then chances are they were also able to accurately pick up on your future. I posted a reply to you IN the your space blog…..hope it helps you .